The UFC 133 lineup was shuffled again, as Rafael "Sapo" Natal now faces Paul Bradley. After Alessio Sakara’s injury forced UFC to shuffle the UFC 133 fight card once again, Rafael “Sapo” Natal will now face Paul Bradley on August 6. The latter’s original opponent, Constantinos Philippou, is now slated to face Jorge Rivera, while the promotion signed Paul Bradley in the card. Paul Bradley won his last three fights consecutively, while hopping from one organization to another. Rafael Natal, on the other hand, is 0-1-1 in UFC. He was supposed to meet Alessio Sakara at UFC Live on Versus, but a knee injury forced him to withdraw from the match. 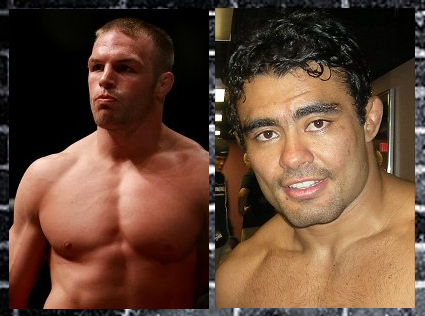 UFC 133 will headline a light heavyweight match between Rashad Evans and Tito Ortiz, and will take place at the Wells Fargo Center in Philadelphia.